Some evidence is beginning to trickle in of a rebound in housing. How much of an improvement depends largely on where you live, though it seems that most markets continue to be sluggish. It’s still a tough time to sell a house! So if you need to sell your home, either to move to another one or maybe in an attempt to lower your living expenses, what can you do to stack the deck in your favor? It’s typical that in a slow housing market, sellers will attempt to sell their homes without using a real estate agent. As a matter of dollars and sense, this seems logical—after all, why pay a real estate agent 6% of the sale price if you can sell it yourself without having to pay it at all? The reason you shouldn’t try to sell it yourself can be summed up in one word: exposure. Even if a real estate agent doesn’t work as hard as you’d like to sell your property, she can do one thing you can’t do, and that’s get the property listed on the local multiple listing service. Usually, those services have national tie-ins as well, meaning that your home will appear on listings across the country, in addition to all over the local area. You can’t get that exposure on your own, and one of the best parts of it is that you won’t have to pay for any of it unless the home sells. Working without this benefit—especially in a slow market—is like selling your home with both hands tied behind your back. I know what you’re thinking, “If I’m hiring a real estate agent, why should I have to market the house?” Answer: because you want to sell it! Recognize that an agent is just one component in your plan to market and sell your home—and you should employ every method available. While the agent lists your home on the multiple listing service, you can work to help your own cause by posting flyers around town, advertising in your local newspaper or on Craigslist, and sending out periodic messages to everyone on your personal and business email lists. Even in a slow market, the condition of the home makes a difference. Real estate agents can recommend “stagers” who come into your home and make suggestions on how to arrange and maintain your home in a way that will maximize both buyer interest and offering prices. They normally charge several hundred dollars for this service, but it can be the difference between selling quickly or not selling at all. Usually, when a person first lists his or her home for sale, there’s a tendency to price the home at the upper end of the market range. While this can work in strong markets, it can doom your home to months of sitting on the market with few lookers and no offers. It’s a reality that the longer a home sits on the market the less likely it will be to sell. Price it a little below market if you’d like to sell quickly, and be prepared to cut still further as conditions warrant. A house is worth no more than a willing buyer is willing to pay for it, no matter how much we think is should sell for. Money is always the primary issue in the purchase of a home, so the more affordable you can make yours the more likely you’ll be to sell it. By offering to pay closing costs and escrows, you’re reducing the amount of cash that the buyer needs to bring to closing. This is especially attractive for first time home buyers, many of whom have had to work hard just to come up with a minimum down payment and will need to rely on gifts from family members for everything else. The more you can lighten this burden, the more attractive your home will be. 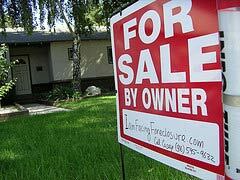 Remember too that by paying closing costs and escrows, you can be in a position to hold on for a higher sale price. Finally, bring an attitude of flexibility to the sale of your home. It’s a buyers market—which means the buyer is in control. If he’s not pleased with the deal you’re offering, he can move down the street and talk to someone else. Just signaling a willingness to be flexible can give the buyer a good feeling about you and about your home. This means being flexible not only with regard to price and closing costs, but also showing a willingness to complete repairs the buyer may ask for, or in scheduling the closing date. The more “user friendly” you can be, the more attractive the deal will be for the buyer—especially if he’s already had experience with sellers who played hard ball. Selling your home is all about sales—and if you’ve never been in sales in your life, you’ll need to adopt that mindset in a hurry. Have you sold your home in the past couple of years? What worked for you? What didn’t? What can you advise others looking to sell their homes? We sold our home 8 or 9 months ago. A large home (3200 sq ft) in Texas where the market is flooded with houses. Our particular area is flooded with cheap homes being sold by banks. We had an agent and we talked up the house to people. We didn’t have a stager, but we did repaint the entire house, replace all of the carpet, move out lots of stuff to the garage, put beds in the rooms that were meant to be bedrooms, a table in the dining room, etc. We took everything off the walls, replaced anything that looked broken or used – blinds, scrapes and scuffs on the floor, cracked light switch covers. We emptied it out of all personal belongings (no photos) and made it look like it needed more stuff in it. We priced it low. All in all, we put a few thousand in (that’s alot of carpet) and several dozen hours of painting (5 bedrooms, 2 living rooms, 3.5 baths, etc). But, we sold it quickly and walked away owing nothing. We lost ALOT of money. But, we have relocated and are settling into our new community – which is the best possible outcome. If we had held out for more money we would still be trying to sell that house and be out ALOT more money. Paying a mortgage on a house you aren’t living in, paying for someone to watch it, etc….very costly! Rose–Everything I’ve read has said that the market in Texas is good. I’m not doubting what you’re saying, but the media always seems to be telling a different story. You did the right thing making all those cosmetic changes to the house. From my experience, you have to make the house look as if no one lives in it! We had trouble selling ours a few years ago in part because with two kids we couldn’t maintain that no-one-lives-here look. Excellent point about pricing–people don’t realize that holding out for an extra five or ten thousand could mean you’ll be stuck with another six months’ mortgage payments. Your number 1 reason is extremely incomplete. If your main reason for hiring a real estate agent is to get listed on the MLS there are dozens of legitimate companies that will list you on the MLS for a couple of hundred dollars. That’s a lot less than paying 6% of your sales price. You may have other, very good reasons for using a real estate agent, but if it is primarily to get on the MLS your approach would be foolhardy. Weston–I purposely left that option out. The problem with cheap listing services is that if you aren’t at least offering 3% to the selling agent, no one on the MLS will even bother to show your home–that defeats the purpose of the MLS. No one will work for nothing, or for a few hundred dollars when they can get a few thousand on other properties. Now if you mean discount real estate brokers who will list your home for a few hundred, contingent on your paying a selling agent fee on the sale of the home, then that’s worth doing. Just remember that the listing company will not do anything to market your home beyond the MLS. If you’re prepared to do the marketing yourself, no problem. We tried selling our house in 2008 just before things got really bad in the housing market. Then we decided to keep it and rent it. We’re getting enough to cover our mortgage, taxes and insurance and that’s enough for now. We may try to sell again in the near future if things pick up. Have you tried offering it to the current tenants? If they’re settled in, they may have already considered making it a permanent situation. If you can get that to happen, you’ll eliminate marketing the home and paying a realtor fee. That can save quite a bit right there. Great points, I always try and price houses a little below the market price, so that the buyer knows they are getting a fair deal. We had our house with a realtor for six months. Seven people looked at the house. The house at that time was 2 years old. Around Christmas took off the market because kids were coming home and that is difficult to be ready with kids inhabiting bedrooms. Just too much stress to keep things in order. Then we ordered some nice For Sale By Owner signs and it has been 4 months and people do not call for appointment. People do not seem to call and make an appointment. They call and ask the price and someone made a second appointment and they liked the house. They come with no pre-approval and they then have to get the money process going and then we do not hear from them. I call back and try to help with mortgage companies because I had a real estate lady give me a good mortgage guy, and tell them to try different lenders, not just banks. Then others stop when we are in the yard and come in to see. They like the house but no buyers. If we come down on the price we will lose big. We are trying to decide to go back to a realtor but I feel I have more contact with the buyers and try to help them. I have had people ask if we would home owner finance, say the price was $20,000 lower than I said on the phone. We always say we will work with them. We are in Texas trying to relocate to Houston. I am not giving this home away. The real estate agents say take the loss here in our town and then go to Houston and get make it up there. I haven’t found a house I really like and I just feel going down $60,000 less in price range in Houston is any deal at all. We have a nice house here and I think we can indure whatever we have to: drive the miles, stay with relatives, just being in an unsettlled situation can be indured rather than sell our house at such a decreased price. We are suppose to give it away to go to the Houston area that really I can not find a home I like, we can hold out.